Those with mental health issues often present in primary care with somatic symptoms, utilize more health care, and on average die younger. Physical exercise has the potential to be an effective treatment for comorbid physical and mental health symptoms; however, prescribing exercise for those with mental illness is more complicated. Although physical exercise is a possible intervention, more research is needed to further understand the complicated influences exercise may have on those with trauma histories, stress disruption to the HPA axis, attachment bond wounding, and possible complicating substance use. 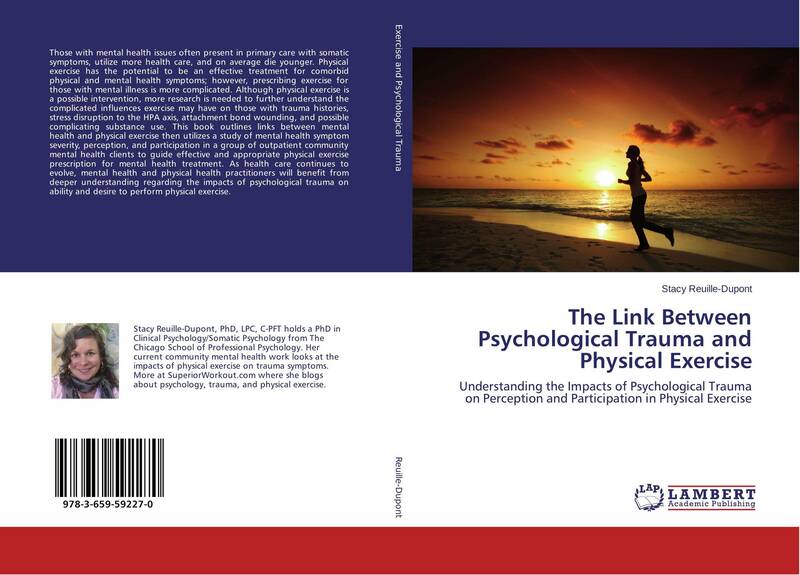 This book outlines links between mental health and physical exercise then utilizes a study of mental health symptom severity, perception, and participation in a group of outpatient community mental health clients to guide effective and appropriate physical exercise prescription for mental health treatment. As health care continues to evolve, mental health and physical health practitioners will benefit from deeper understanding regarding the impacts of psychological trauma on ability and desire to perform physical exercise.